Polyunsaturated fats, we’ve all heard of that right? 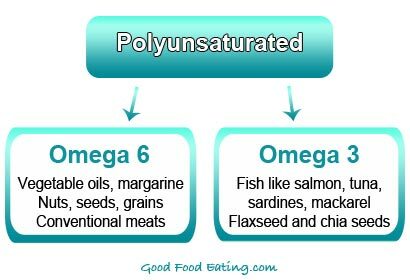 But both omega 6 and omega 3 fatty acids come under the umbrella of polyunsaturated fats, and yet they are both very different. I remember asking my university lecturer about the reason why polyunsaturated fats have been promoted so heavily as “healthy” fats when omega 6 fats are know to be not so healthy. She said it was likely due to the evidence around the benefits of omega 3s for health. Sure, I can accept that. However, it is usually not things like fish or sardines that are promoted as a healthy polyunsaturated fat. It’s things like unsaturated vegetable oils and margarines that are full of omega 6 fatty acids and there is PLENTY of research to show that these are pro-inflammatory and bad for our health. Yep, yet another one of ‘those’ health claims that isn’t exactly right. 1. Vegetable oils – such as corn, safflower, soybean, grapeseed, sunflower and so forth. These are the biggest contributors. Think about all the processed food products that contain these oils…all of them. Check out the labels when you go shopping. It’s rare to find olive oil, which is a very healthy anti-inflammatory oil. 2. Grains – you might have heard that grains are high in omega 6 and while it’s true, the omega 6 content is rather low compared to oils and fats. For example: 1g and lower per 100g compared to safflower oil with 74g per 100g of omega 6. The main issue with grains is that they do get consumed in large quantities, so in that sense they can add to your omega 6 load. 3. 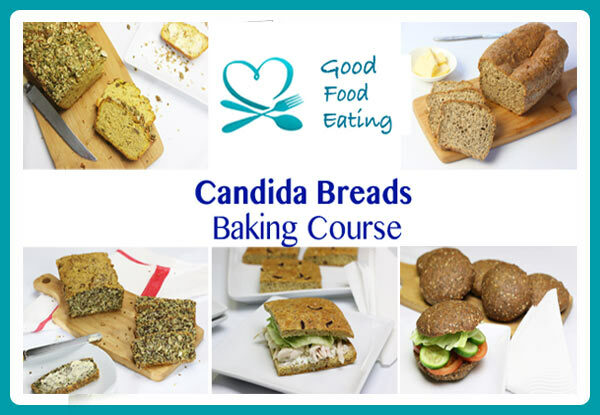 Conventional meats – because the animals are fed grains, conventional meats also contain omega 6. Again, it’s not at super high levels like the oils but it’s a food source to be aware of. Grass fed meat contains less omega 6 and higher omega 3s, having a better ratio of the two, and we’ll soon find out why that’s important. 4. Nuts & Seeds – do contain omega 6, but the benefit of nuts and seeds is they also contain loads of other vitamins, minerals and healthy fats. Nuts are really only meant to be eaten in small portions so as long as you keep it that way you’re fine. For a full list of omega 3 sources, click here. So what’s the big deal about omega 6 and omega 3 anyway? Both are ‘essential’ fatty acids because the body can’t produce them internally but unfortunately in our modern diet most of us eat too many omega 6 foods and not enough omega 3. And, just about all foods in the modern diet have reduced omega 3 fat content. The ratio of omega 6/3 in the body is very important to ward off health conditions. Studies show that Western diets range anywhere from 15:1 to 20:1 omega 6 to 3 ratio. Ideally the ratio should be around 2:1 or a maximum of 4:1. 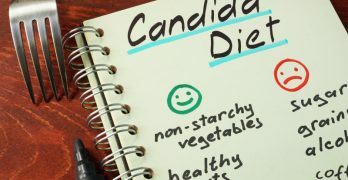 Many chronic health conditions can be triggered by increased inflammation, conditions such as cardiovascular issues, diabetes, cancer, obesity, autoimmune conditions, rheumatoid arthritis, asthma and depression. 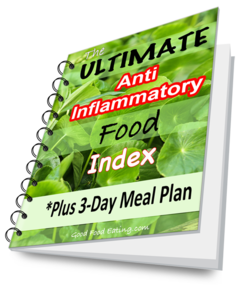 These conditions are all associated with increased production of inflammatory cytokines and chemokine’s, which increase with omega 6 and decrease with omega 3. If you can imagine that huge imbalance between these fats in the body you can start to comprehend how it could be a problem, particularly in increasing inflammation. Both omega 3 and omega 6 have to go through an elongation and desaturation process to make them useful for the body. 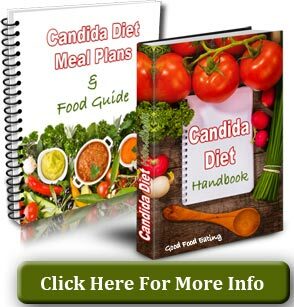 The main issue is they both use the same enzymes to get broken down in the body, and out of that metabolic process they produce what’s called eicosanoids. 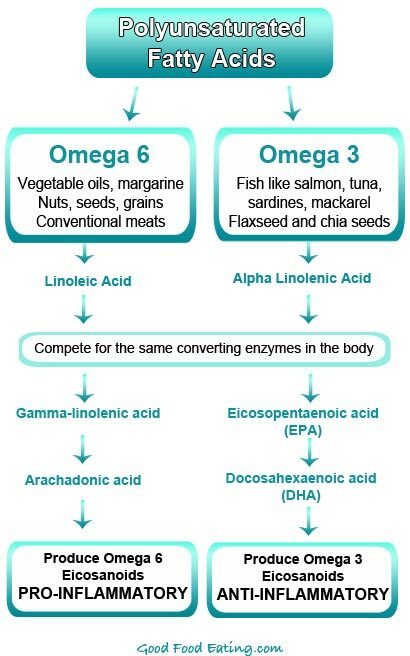 Because the two fatty acids have to compete for the same enzyme, when there is too much omega 6 it significantly decreases the conversion of omega 3. Here are some of the effects of these eicosanoids on the body. All the cells in our body have a lipid bilayer. ALL cells, like our immune cells, the cells in our brain, the cells in our organs and so forth. The types of fats we eat in our diet affect this bilayer. When we have more omega 3 it can suppress inflammatory molecules, prevent molecules from adhering to places they are not meant to, and stop conditions from arising or getting worse. 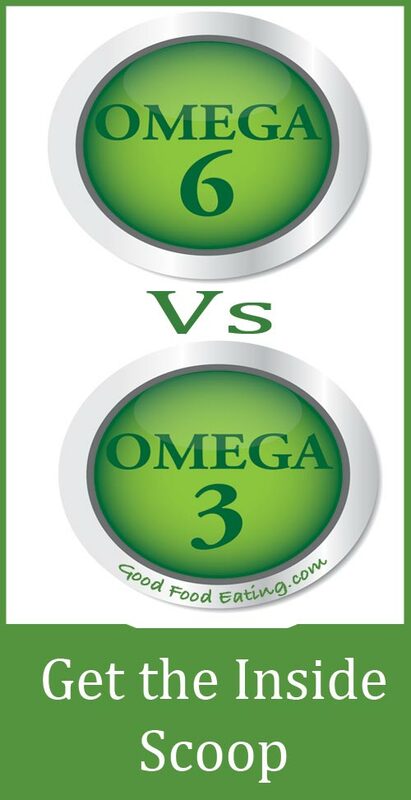 So that’s the run down on Omega 6 vs. Omega 3 fatty acids.